It’s no secret that the use of video has exploded in recent years. 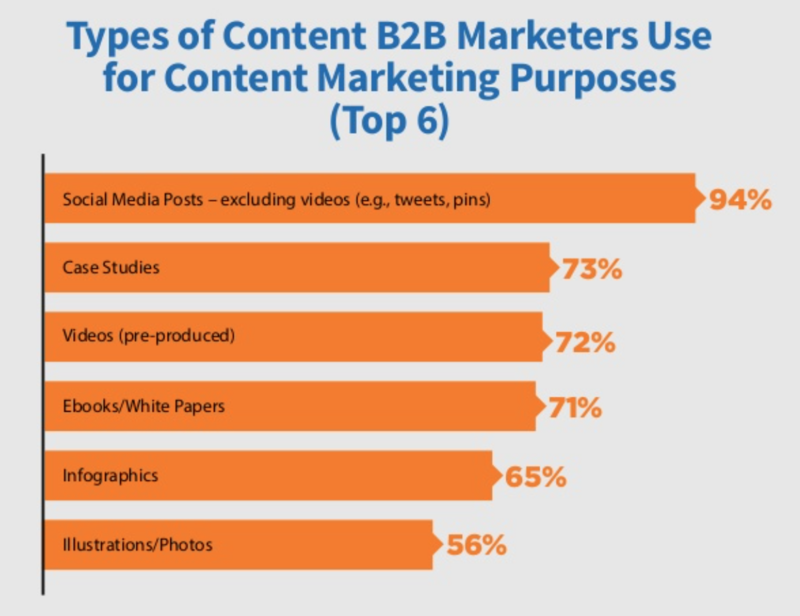 In fact, our 2018 Benchmarks, Budgets, and Trends research found 72% of B2B marketers say they use video for content marketing purposes. Video’s popularity may be attributed to many factors, the greatest being authenticity. Video gives people a better sense of who you are. TrackMaven CEO Allen Gannett is considered to be one of LinkedIn’s influencers and has been uploading native video to the platform for months. 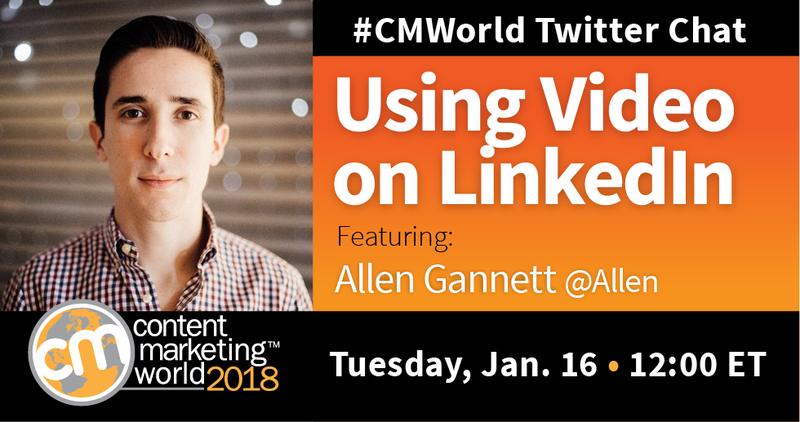 Allen joined us for a recent #CMWorld Twitter chat to share his experiences. Is uploading native video on LinkedIn different than sharing on other social platforms like Facebook or Snapchat? Once you decide to try video on LinkedIn, should you spend time and budget on a professional video? Or should you create content “on the fly” with your smartphone? Looking for inspiration from video content creators on LinkedIn? Our community recommended a few to check out on LinkedIn. We had a great time chatting with everyone. Awesome chat! If there is a specific topic you would like to see covered, please let us know in the comments below. And if you’re interested in participating in future #CMWorld Twitter chats, you can find our schedule here. Looking to add new skills to your LinkedIn profile? You can when you attend Content Marketing world 2018. Select from dozens of sessions and learn from industry pros. Sign up today with code SM100 to save $100 off registration!